So , I’m dumbfounded , flabbergasted, astounded and stoked ( ie pretty happy in Aussie slang) . I came third in the CYA, aspiring illustrators competition . About 3 months ago I decided at the very last minute to enter an illustrators competition for the Children and Young Adults authors and illustrators conference, 2017 . I thought to myself ” This will be a good experience Sandy . 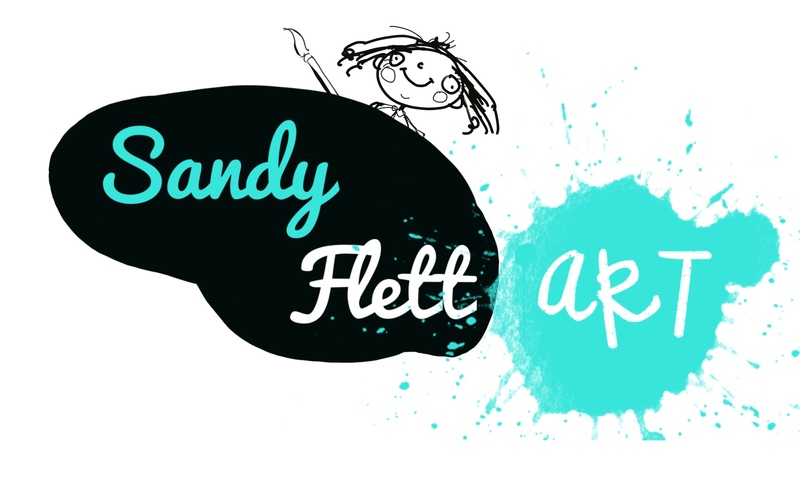 A great way to get feed back on your artwork and illustration style Sandy and learn more about the craft – Sandy . ” So, I coddled together some little drawings , based on the text given . It was a trifle frustrating being only able to enter 3 drawings as I felt like I wanted to do so much more . But , I carried on , doodled away and sent off my drawings with few expectations . And here I am , 3rd place winner in the “aspiring ( unpublished ) “illustrators section. The stuff of a little female in the western suburbs of Brisbane Queensland Australia’s dreams . The competition involved illustrating the first 2 chapters of a children’s early chapter book ” Sam Treasure :In the Whale’s Garden ” by Tina Marie Clarke . As usual my pictures ended up on the comic side . But hey , that’s my style . So, without much further ado – presenting ……. In the next few days I’ll chat about my experiences with the publishing editors . It was pretty cool , can I just say . , Australia . Sandy writes her comedy blog as inspiration strikes and shares her cartoons , paintings, drawings and digital art that she is endlessly creating whilst drinking large quantities of tea. She has an endearing habit of leaving the teabag in the cup until it it disintegrates and leaves nasty stains on the inside of the cup .